Day 01 - Favorite Carrie song. Day 02 - Favorite album. Day 03 - Favorite song from Some Hearts. Day 04 - Favorite song from Carnival Ride. Day 05 - Favorite song from Play On. Day 06 - Favorite American Idol performance. Day 07 - Favorite red carpet dress. Day 08 - Favorite award show performance. Day 09 - Favorite award show acceptance speech. Day 10 - Favorite hair style. Day 11 - Favorite picture of Mike & Carrie. Day 12 - Favorite picture of Carrie & Ace. Day 13 - Favorite Carrie quote. Day 14 - Favorite music video. Day 16 - Favorite Carrie concert cover. Day 17 - Favorite song Carrie does live. Day 18 - Favorite photoshoot. Day 19 - Favorite interview. Day 20 - Favorite magazine cover. Day 21 - Favorite lyric. Day 22 - Favorite skit from the holiday special. Day 23 - Favorite outfit Carrie has wore at a concert. Day 25 - Favorite duet. Day 26 - Favorite slow song/ballad. Day 27 - Favorite album cover. Day 28 - Favorite demo song. Day 29 – Favorite concert you’ve been too. Day 30 - Why do you like Carrie? 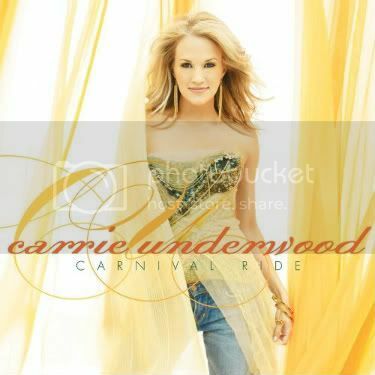 my day 01 - favorite carrie song. So Small. I honestly have so many faves, but this one means the most to me. It never fails to inspire me. I even want to get a tattoo with some of the lyrics, but I have to decide on the lyrics. "Love is all that matters after all" or "Time's flying by, moving so fast, you better make it count because you can't get it back." The second one might be too long, though. haha. Favorite Carrie song: Temporary Home." Means so much to me. Ok here goes. I guess I'm here everyday anyway. May as well be productive. Day 1: Favorite Carrie Song. I Ain't In Checotta Anymore. I still feel like this was the first time I heard Carrie speaking through her music. I have many favorites but but when she talks about the blue skies "the Oklahoma Kind...." I just feel like that was the first time I felt her really communicating her own emotion through the music. It makes me very happy every time I hear it. Day 01- Favorite Carrie Song: What Can I Say, it's perfect! It has to be Some Hearts. I played it for the better part of an entire year. It was the album that I wanted people to hear so badly cause it was proof positive that Carrie was such an exceptional vocalist. AS each album has come out I have loved each one, but to go back to what feels like "the original" is always nostalgic to me now. And it still stands up so well. Day 2: Favorite album is Carnival Ride. I think it's full of amazing, versatile vocals & has her strongest upbeat material. Power ballads "So Small," "Just A Dream," "I Know You Won't," "You Won't Find This," "Wheel Of The World"
Fun: "All-American Girl," "Crazy Dreams," "Get Out Of This Town," "The More Boys I Meet"
Rockers- "Flat On The Floor," "Last Name"
It has all types of songs, each as good as the next. Plus, I think it does a great job of telling who Carrie is & who she wants to be as an artist. (TMBIM, SS, JAD, AAG, Crazy Dreams," "Wheel Of The World). I'm a sucker for power ballads- as much as I like PO, CR has a better selection. Now you're gonna make me change my vote. Thats the problem with me, I am pretty easy to convince. Carnival Ride. I love all three albums, but it was this album that first made me fall in love with Carrie as an artist and singer. I don't think there's a single song on Carnival Ride that I dislike or often skip over, whereas there's at least one or two of those on Some Hearts and Play On (both of which I love also). carnival ride! i can listen to this CD beginning to end all the time and never get sick of a single song. the whole album was so versatile and.. perfect. i'm ashamed to say but from some hearts and play on both, there are at least one song i don't really like/listen to that much.. but as far as CR goes i love every song. This is probably the hardest Carrie question to answer, all three are so great, and I love them all for different reasons, however each one has its flaws too. But I guess I've got to go with Some Hearts, its the only one where theres not a single track that im iffy about, and it has three of the best songs of her career, JTTW, BHC and Wasted. hmmmmmm, probably that's where it is or DFTRM. Day 3: Favorite from "Some Hearts" is "Before He Cheats." Tough choice though, there are so many great songs on the album. "Were Young & Beautiful," "That's Where It Is, "I Just Can't Live A Lie"
Well, I alreadly mentioned IAICA as my fav song. So after that it becomes really hard cause they are good for different reasons. But I guess if the question was "what one could I not live without" it would JTTW. Yes, even to this day. It's what started it all for us and it stands strong on the radio today as much as when I first heard it. CR is my favorite Carrie album, so it's hard to pick a favorite. But I have to go with "So Small." The vocals are gorgeous & Carrie sings it with so much conviction. I love that the song is a power ballad, but Carrie's performance was restrained when it needed to be, yet powerful enough to carry the song. I love a lot of the other ballads on the album, but I can listen to SS no matter what mood I'm in. I love how Carrie added little twists to the vocals live too; the way she uses her voice is so clear, powerful and calming at the same time. All Carrie's music takes me to a great place, but something about the performance in SS is so special. I feel like I get lost in the beauty of her voice and the power of the message more than I do with any other song. I wanna play, but what day should I start off with? ?